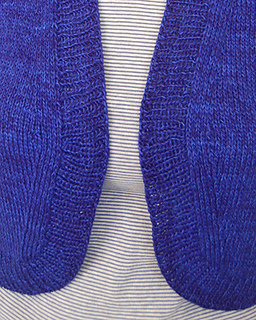 This one-piece, top-down, elbow-length shrug is worked in stocking stitch with ribbed edging around body and cuffs. 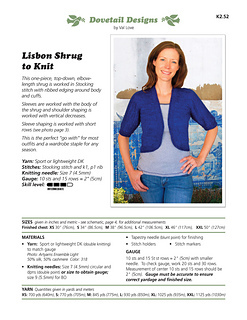 Sleeves are worked with the body of the shrug and shoulder shaping is worked with vertical decreases. Shaping on the lower edge of the sleeve is worked with short rows which is why the pattern is intermediate. This is the perfect “go with” for most outfits and a wardrobe staple for any season.